The unique Peugeot - Cosworth. Body from an ice racer - Cosworth V6 engine from an Opel racing car! 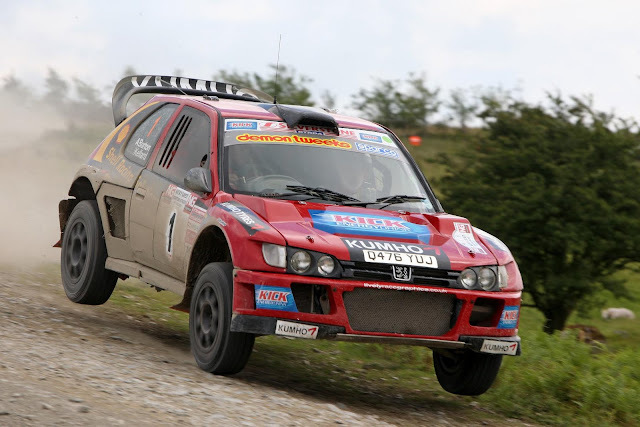 Andy Burton and Robin Kellard have clinched the Silverstone Tyres BTRDA Rally Series of 2011 with two rounds still remaining, having finished a fighting third overall on last weekend’s Nicky Grist Quinton Stages event. Being Gold Star Champion this year will be particularly memorable for Burton, who is being forced to retire his iconic, Kumho-shod Peugeot-Cosworth at the end of the season, due to a change in regulations. 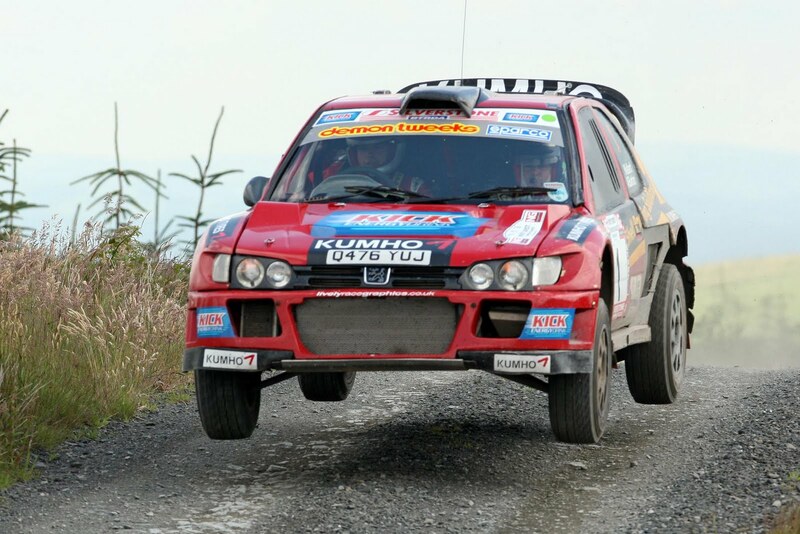 The team entered the Quinton Stages with hopes of sealing the series with their fourth outright victory of the year, but it was not to be. Slightly off the pace on this occasion, they were pushed down the order by Charlie Payne and Craig Thorley (Focus WRC), and Roger Chilman and Andrew Sankey (Impreza WRC) – the latter were another couple competing on Kumho tyres. However, having dropped just six points in six rounds, the Peugeot pairing are still now unbeatable in the championship, which counts competitors’ six best scores from the eight events. The seventh and penultimate round of the series is the Woodpecker Stages event on September 3.